Fluoresbrite microspheres are internally dyed fluorescent monodispersed polystyrene microspheres. Internal dyeing produces relatively bright and stable particles, with narrow fluorescence CVs, and leaves the surface available for adsorbing various ligands. Fluoresbrite particles are routinely used in a wide range of applications, including as tracer particles and in phagocytosis assays. 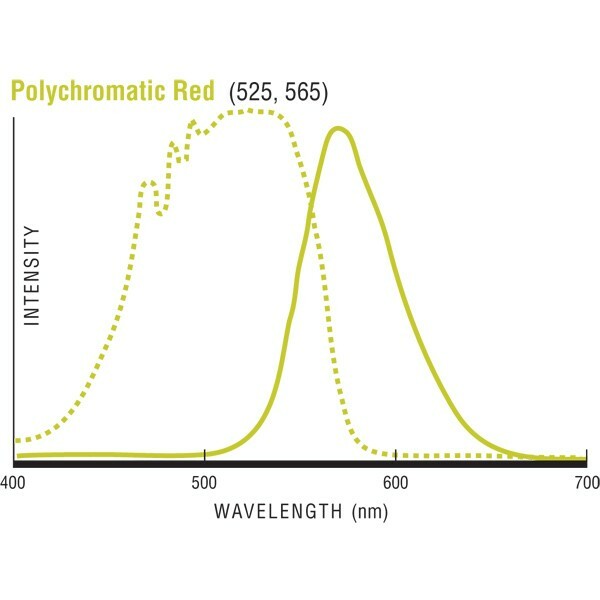 Polychromatic Red is a broadly excitable and emissive dye allowing flexibility in use with a variety of optical setups.